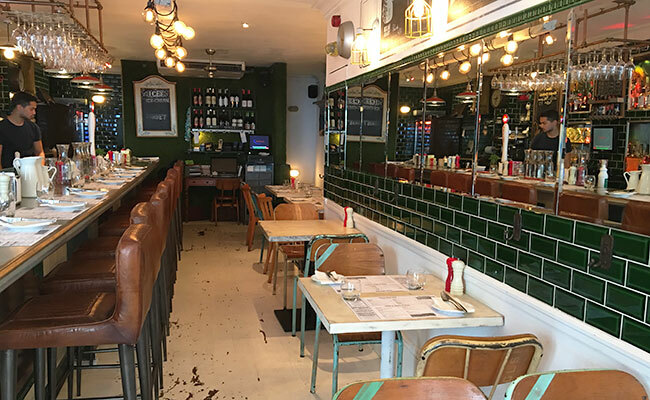 About 3 years ago the restaurant Graze, known by locals in Hove to provide modern British food in a relaxed fine dining environment closed its doors for a makeover. 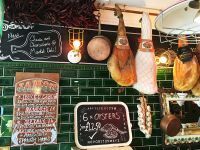 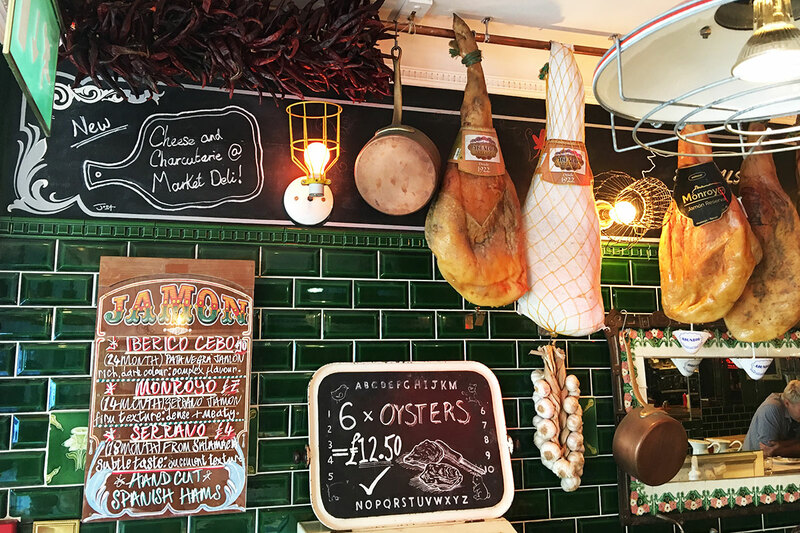 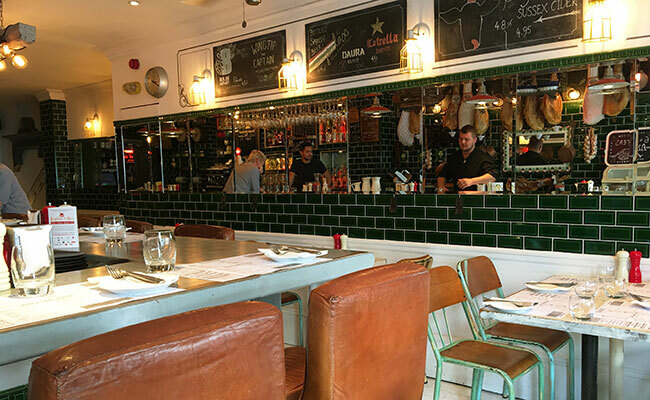 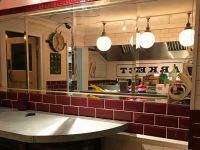 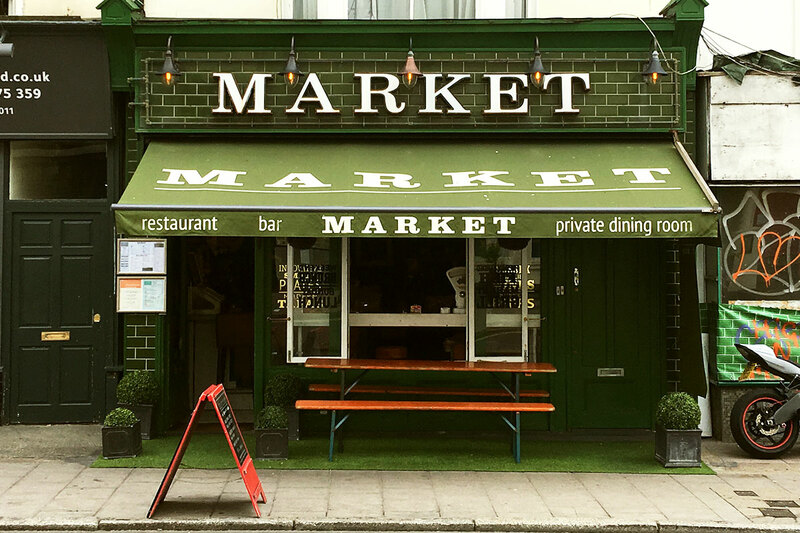 When it re-opened as Market Restaurant and Bar to dishing up Tapas in a completely reimagined concept we had to go and see how the transformation went. 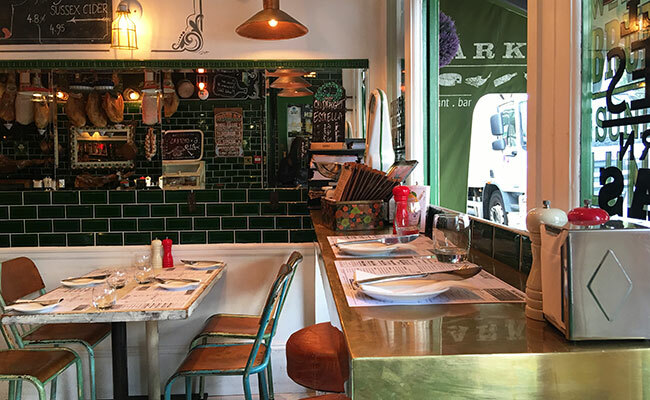 The owner Kate is still at the helm, the food is equally adventurous and delicious, and the head chef working in the open kitchen is just as personable and helpful as before when it was Graze. 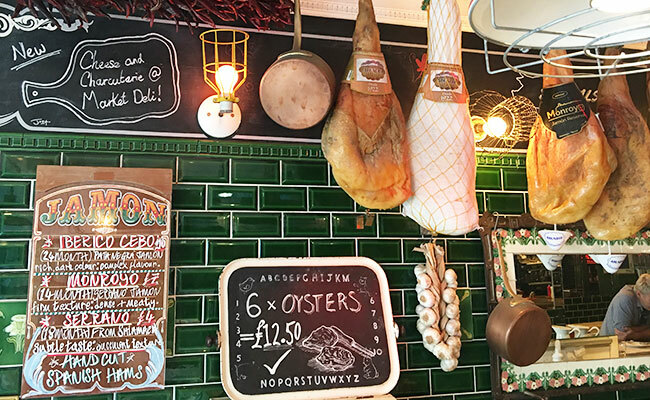 Did I mention adventurous; It takes a while to get your head around the menu as there are a few ways to eat and there's no Patatas Bravas, which you’d expect to find in a tapas place, but a modernised dish with new Potatoes is available. 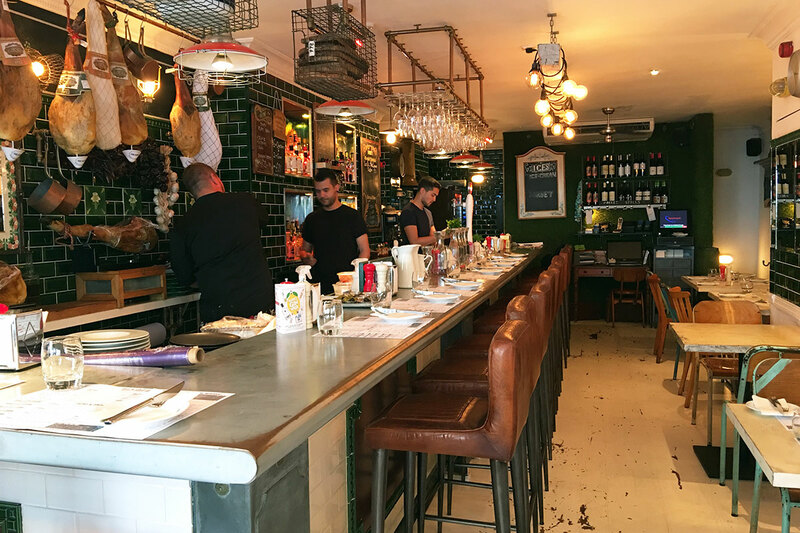 There are of course speciality meats and cheese board options from English or Spanish origin but the tapas and small plate’s selection is where the creativity of the menu shows through. 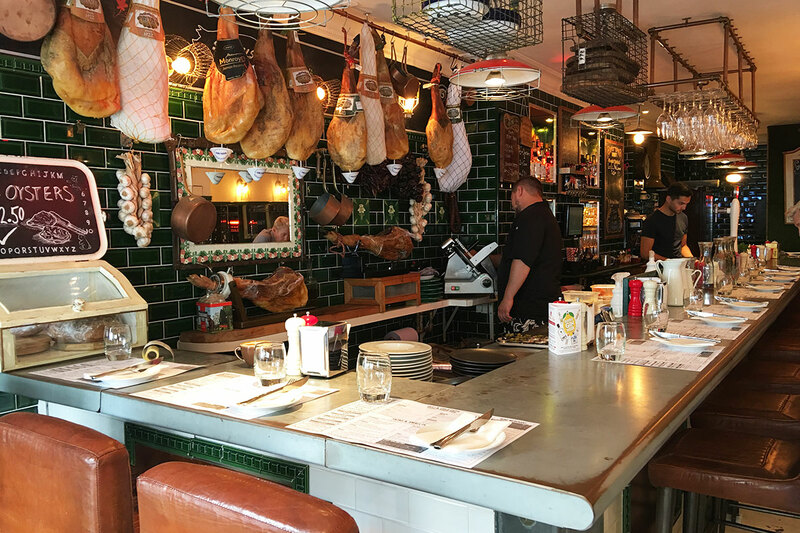 It made a nice change from what we think of as classic Spanish tapas, although there are a few influences there. 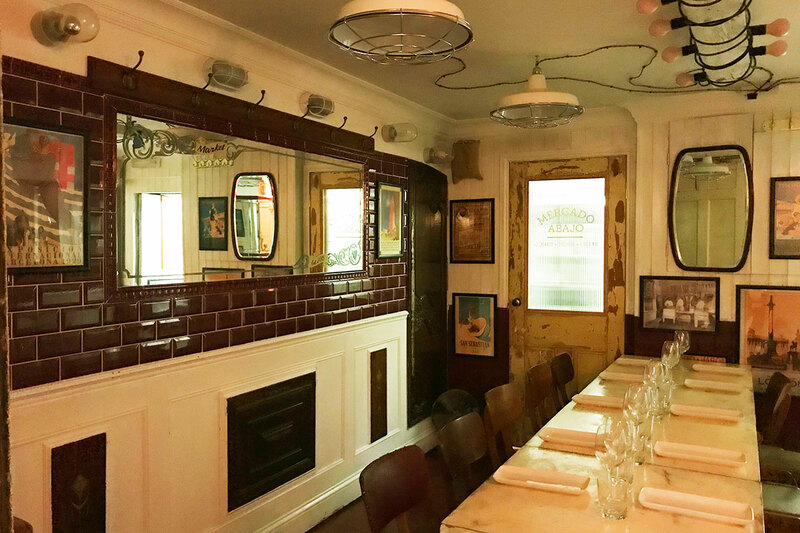 This was not the first visit for all of Blenheim Design, and for those that had been once or twice before the food did not disappoint. 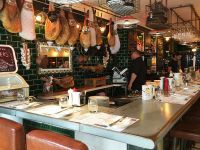 We hadn’t booked because it was a spur of the moment decision and due to the mid-afternoon time we were the only customers there, but we know it gets very busy and the restaurant is small with limited tables and some stools along the bar where you can also eat. 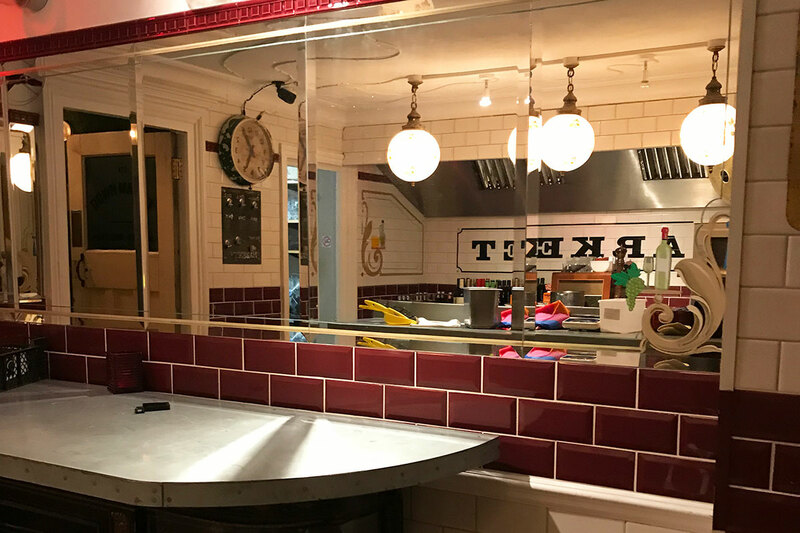 The bar is where the action happens on the ground floor so if you come along then imagine it like a chef’s table. 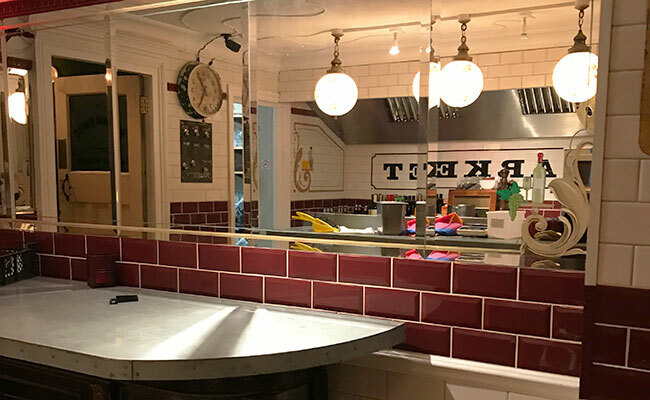 From a previous visit when sat at the bar, you sit back and watch everything being done in front of you, it adds real theatrics to the evening and you see the time and effort put into each dish no matter what the size. 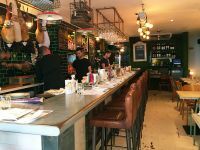 The ground floor space is small and due to the size of the bar it seems smaller than when it was Graze but there is a larger room downstairs too. 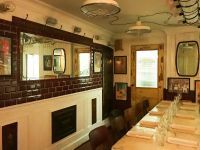 The 42D Downmarket room below has a bar and is used as part of the restaurant extension but can be hired for parties or groups. 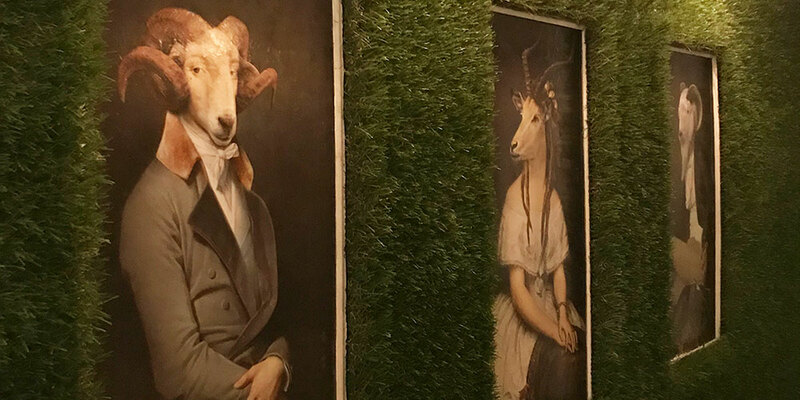 The décor is traditionally styled with honest modern representations and some quirky artwork if you look closely. 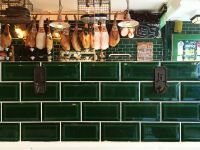 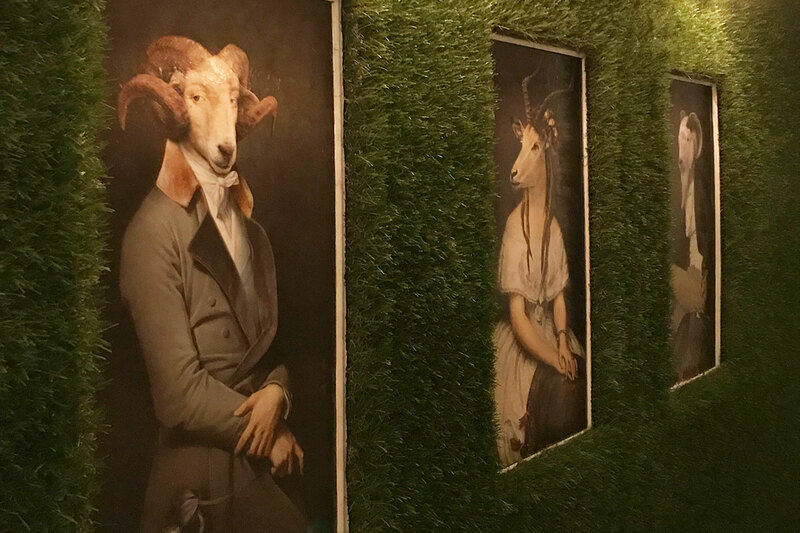 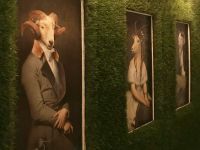 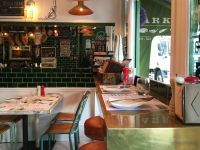 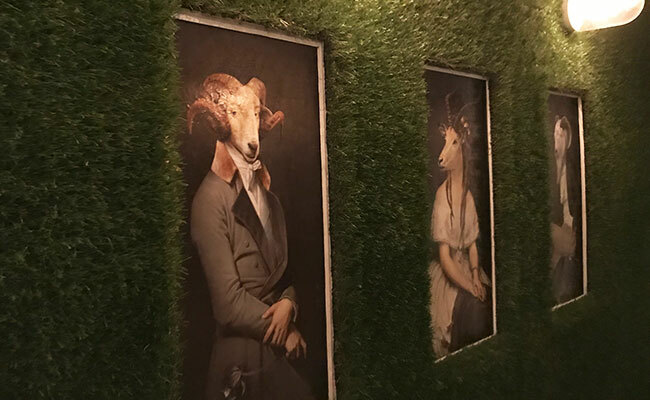 The emerald green, white and burgundy tiles are the interior backdrop and white painted floor and wall panelling adds another layer of texture before the embellishments of cut mirrors, vintage art and pieces and of course the cured meats on display. 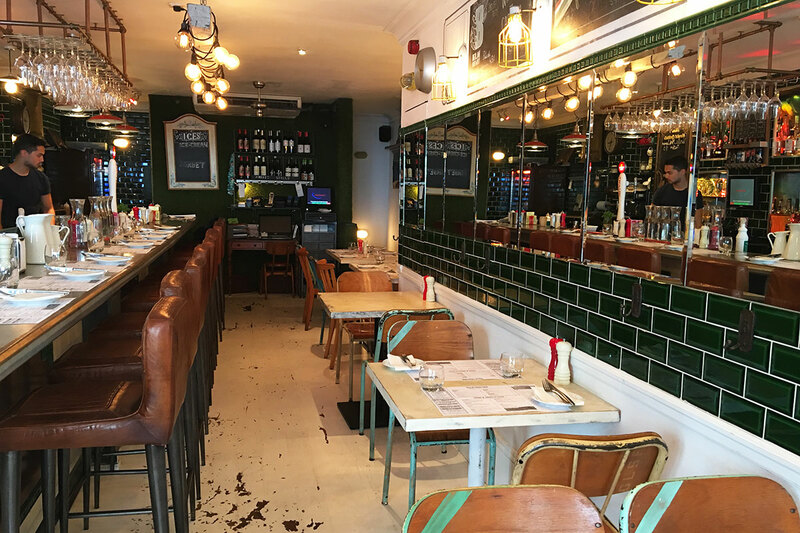 The lighting is a combination of enamelled industrial style pendants, squirrel cage lamps with exposed bulbs, bulkhead lamps and spun copper shades and these suit the busy interior. 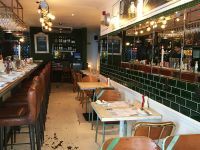 The bar is metal clad with a worn paint patina and with decorative glazed tiles below in green, burgundy and white. 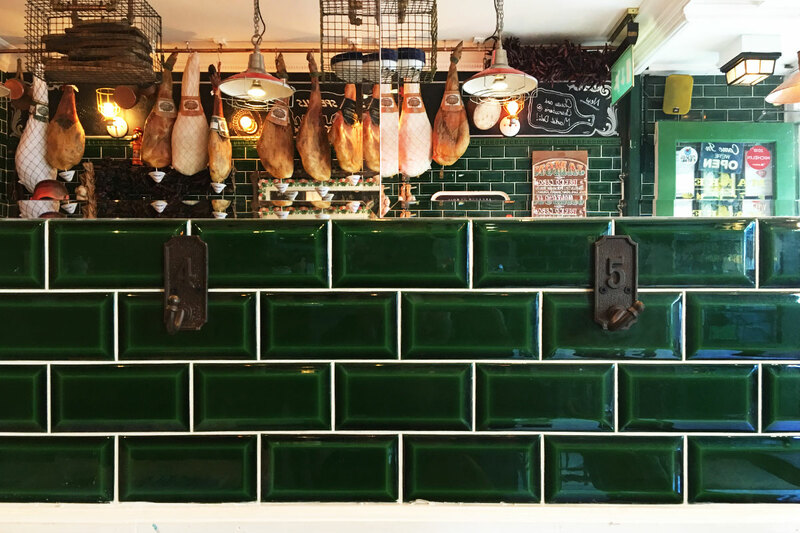 Suspended above are copper pipe rails and gantries with wire mesh storage crates. 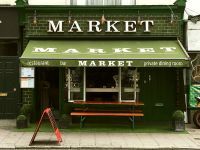 The shopfront continues the green theme and the entire tiled shopfront and awning are a shade of green with faux grass and box planting spilling onto the pavement. 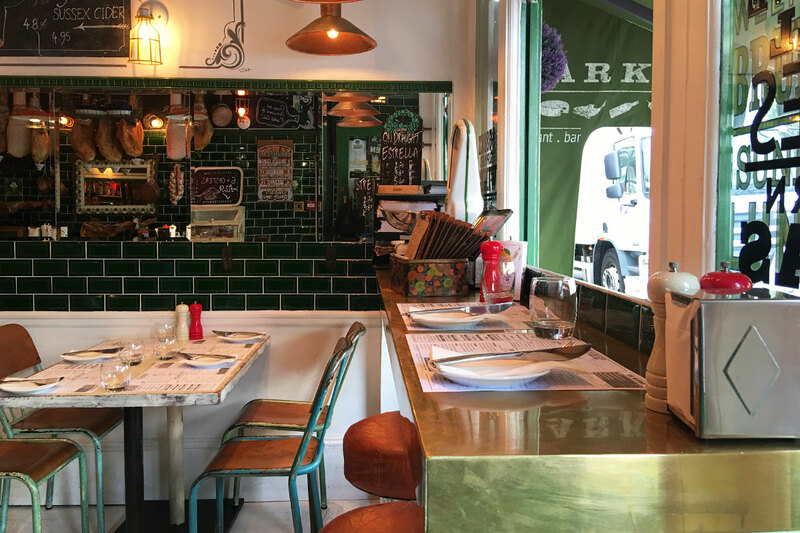 The reclaimed canteen table, the white logo, and the red A-frame board are the only things spared from the green brush.